This report adds some comments about the experience of five (5) children with autism who underwent both treatments during the period of 1990 and 1996. A group of children with the diagnosis of autism who all attended the same school for children with autism were given the opportunity through a sponsorship in 1991 and 1992 to attend three sessions of Tomatis Audio-Psycho-Phonology with a certificated practitioner. Each of the three sessions included 100 hours of treatment, given as sessions of approximately three hours per day, daily, at the practitioners’ rooms. During these sessions the children were free to play, draw, or rest as they wished, as prescribed in the treatment protocol. Parent consultations were held by the practitioner in separate sessions. Two of these children had readily-identifiable auditory hyperacusis, since they spent much of their day with their hands covering their ears, and showed many behaviors associated with distress caused by sounds. Another of the children, the only girl of the group, had suspected although not identified hyper-sensitivity. The parents reported benefit from the individual consultations with the practitioner in terms of feeling supported. The girl who had an artistic flair and spent her sessions drawing copiously seemed to improve in her creative style. The only negative outcome was a disturbing reaction from the younger of the boys with auditory hyperacusis. His mother reported that he had become completely passive, almost ‘like plasticine’. While previously he had tended to be stereotyped, following limited and set routines, after these sessions he became even more limited to the extent that he stood where he was put, or sat where he was set down. He ceased all exploration or participation. During the sessions he would pull the blanket over his head and lie without moving for their duration. This withdrawal gradually receded, and his mother reported that after 6 months he had almost regained his pre-treatment levels of activity. No lessening of auditory hyperacusis. was observed in any of the children, in fact the older boy’s discomfort continued to worsen until it reached the point where he was unable to join the family for meals or for walks in the forest. After the three sessions of Tomatis APP therapy had concluded, there was a period of one year during which these children proceeded with their daily scholastic routines. This was the ‘psycho-educational’ approach to teaching, which involved an adapted curriculum, with speech therapy and occupational therapy supports. In 1993 and 1994 these children were able to attend a practitioner of the Berard Method of Auditory Integration Training. The families sought the treatment on an individual basis, without sponsorship. These sessions totaled ten (1) hours of auditory integration training, split into two 30 minute sessions per day, for ten consecutive days. As with the Tomatis sessions, headphones were worn to listen to the music. During the sessions, children were allowed to play with ‘fidgets’, but not read, draw or write. Parent information and conversations were held during the half-hour listening sessions. The three children with hyperacute and painful hearing had immediate benefits after AIT, that enabled them to become more participant in their families. The boy who had regressed severely during the Tomatis sessions, reacted in the opposite way to AIT – he began to explore his environment, he ceased body-spinning, his high-pitched stereotyped squeals lessened. These changes meant that his mother had to keep a watchful eye on him as he began to climb the fence and wander away. This occasionally led to difficulties as the family adjusted to his being more ‘present’ as this was unexpected behavior for him, but it was seen as a positive change away from his stereotypes. The older boy with severe painful hearing was able to rejoin his family for mealtimes and enjoyed the school holidays in a noisy house without difficulty for the first time. There were reports of improved social responsiveness in all the children. One of the children, the boy with the stereotyped behaviors, went on to take three sessions of Berard AIT, and began to develop speech after the third ten-hour training had completed. It was apparent that the outcome for these five (5) children with autism was more positive after one ten-day session of Berard AIT than after the three sessions of the Tomatis therapy. It was also noted that there were no significant negative outcomes for any of the children, other than some tiredness during the ten days of the sessions. It was noted that the Berard AIT had a positive impact on painful hearing (auditory hyperacusis) for all three the children who were identified with this problem. The publication of the book The Sound of a Miracle by Annabel Stehli has created a high level of interest in auditory training among the families of autistic children. Georgie, the autistic girl about whom The Miracle was written, had been taken by her parents to Annecy, France, to be given 10 days of auditory training by Dr. Guy Berard, a French physician specializing in treating individuals with auditory problems, including a few who were autistic. Desiring to improve the functioning of their autistic children--specially those children who, like Georgie, are highly sound-sensitive--many parents have begun to seek the services of the small, though increasing, number of professionals who offer what appears to be similar or related treatment. Dr. Berard had been introduced to the concept of improving human well-being through auditory stimulation in the 1960's by another French physician, Dr. Alfred Tomatis, but quickly grew disillusioned with what he felt was the excessive cost, time, intrusiveness and emphasis upon hypothetical psychological factors of the Tomatis approach. The persons being treated were not autistic, but instead had a variety of other, less severe problems. Berardparted company with Tomatis, designed his own electronic audio-stimulating device, and developed his own approach, utilizing what he felt were the only valid components of the Tomatis approach and adding certain innovations of his own. While the Tomatis approach might require the patient to visit for several hours each day for many months--years in some cases--Berard, focusing on only auditory problems, not psychological problems, felt that the best results could be accomplished in one 10-day period, by having the patient visit his office for two 30-minute periods on each of the 10 days. Berard trained a small number of professionals in his method. Tomatis went on to establish a great number of "Listening Centres" throughout the world, with perhaps a dozen in the U.S. and Canada. Both the Berard Auditory Training approach and the Tomatis "Audio-Psycho- Phonology" approach provide auditory stimulation to the listener; however, the Tomatis method is quite different from the Berard method. Following is a comparison of the two methods. We have been able to find no published studies in scientific journals on the efficacy of either the Berard or Tomatis methods as applied to autistic individuals. Although a number of studies have investigated the efficacy of the Tomatis method, most of these studies have not been published in scientific, refereed journals but rather were informal reports presented at conferences or described in unpublished manuscripts. In addition, most of these studies have not used sound experimental procedures (e.g., no control group, evaluations of effectiveness done by Tomatis proponents, etc.). We are aware of only two studies investigating the effectiveness of the Tomatis method that have been published in scientific journals. Both studies were conducted with the cooperation of Tomatis specialists. A study conducted in Canada examined a population of learning disabled, not autistic, children (Kershner, Cummings, Clarke, Hadfield, & Kershner, 1990). In this study, one group of children received the Tomatis program for 100 hours as well as standard remedial procedures (i.e., school program), whereas a control group received only standard remedial procedures. The tester, who conducted the two-year follow-up assessment, was unaware of to which group the participants had been assigned. Post-treatment measures assessing verbal and arithmetic abilities did not reveal any differences between the two groups. On the Seashore Rhythm test, which measures auditory attention, auditory discrimination, and short-term auditory sequential memory, the control group children did significantly better than those trained via the Tomatis approach. The Seashore Rhythm Test had been, in particular, expected to show the benefit of Tomatis training. A study conducted in South Africa by du Plessis and van Jaarsveld (1988) examined the effectiveness of the Tomatis method on anxious children attending an elementary school program. Children were assigned to one of three groups: (a) children and their mothers received auditory training for 51 1/2 hours; (b) children and their mothers received conventional counseling; and (c) children and their mothers did not receive any intervention. The researchers examined a number of variables, such as anxiety, personality, cognitive ability, and listening skills. Overall, the children who received the Tomatis training did significantly better than the two other groups; and children who received counseling did significantly better than those children who did not receive any form of intervention. A critical flaw with the design of this experiment is that it was not "blind" -- the people who did the assessments (the mothers and therapists) were aware of which group the children were assigned to. There are many issues to consider when comparing the Berard program and the Tomatis program. We have listed each issue separately to assist in comparing these two approaches. The Berard method is based on a physiologic- educational, not emotional, approach (Berard, 1982). Berard argues that behavioral and cognitive problems may arise when people perceive sounds in a "differential" manner. That is, when certain frequencies are perceived much better than other frequencies, sounds are perceived in a distorted manner and may lead to difficulties in comprehension and behavior. Through auditory training, Berard claims that distorted hearing and hypersensitivity to specific frequencies are reduced and that, ideally, all frequencies can be perceived equally well. Thus, environmental sounds, including speech, are perceived normally. Tomatis takes a psychological-emotional approach in explaining how people may benefit from his program (Tomatis, 1974, 1978). Unlike Berard, the Tomatis method does not claim to reduce hypersensitivity, but rather, it claims to improve a person's listening and communication skills. Dr. Tomatis theorizes that listening problems often start in utero. That is, the fetus hears the sounds of his/her mother including breathing, heartbeat, and voice while in the womb. Tomatis argues that the mother's voice has a strong influence on the development and later communication abilities of the fetus. He asserts that the mother conveys acceptance to the fetus when her voice is warm and melodious. In contrast, if the mother's voice is harsh and cold, then the fetus will perceive the mother as rejecting. After birth, if the infant feels unwanted due to his/her perception of sounds in the womb, the infant will not want to listen nor communicate with his/her mother; and as a result, the mother-child bond never develops. The Tomatis program presents different types of sounds to the listener in an attempt to recreate critical periods of listening development. By listening to sounds one would hear in the womb, soon after birth, and during early childhood, the listener is said to learn to communicate and listen more effectively. As mentioned above, the aim of the Berard method is to reduce hypersensitivity and to hear all frequencies equally well. In contrast, the aim of the Tomatis method is to improve listening skills. Tomatis asserts that the best hearing, which is said to be accomplished through his program, is for high frequencies to be heard much better than moderate frequencies and for moderate frequencies to be heard much better than low frequencies. Berard claims that auditory processing problems may lead to a number of different disorders including autism, depression, dyslexia, learning disabilities, and in some cases, suicidal ideation; individuals with any of these disorders may benefit from auditory training. Tomatis claims that listening problems may lead to anxiety, autism, depression, dyslexia, epilepsy, learning disabilities, low self-esteem, neurosis, and P.M.S. In addition, his method is said to help people who are facing mid- life changes, people who want to eliminate a foreign accent, and people who Want to learn a foreign language. As mentioned above, there are no published studies in scientific journals supporting any of these claims for either the Berard or Tomatis methods. 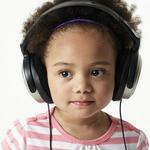 The device used to provide auditory training is called the Ears Education and Retraining System (EERS). This device takes music from a sound source (e.g., audio tape or compact disc), filters out specific frequencies to which the individual has been found by audiometry to be hypersensitive, modulates the sounds electronically, and then sends them via headphones to the ears. After ten hours of listening to this processed music, the listener should have made significant progress toward hearing all frequencies equally well. The device used to provide auditory stimulation is called the Electronic Ear. Unlike the EERS device, audiotapes containing previously filtered music are played into the Electronic Ear. The Electronic Ear filters the music further in an attempt to recreate what Tomatis believes to be the critical early developmental stages of listening. In the first phase, the listener is presented sounds that simulates those that may be heard in the womb. These sounds are similar to the sounds presented by the EERS; that is, high and low frequencies sounds are extracted from the audio source and then presented to the listener. In contrast to the Berard approach, a cascade filter is used to gradually eliminate low frequencies from the sound; and eventually, the listener is presented primarily high frequencies. According to Tomatis, high frequency sounds energize or "charge" the brain. In addition, the mother's voice is filtered and presented to the listener during the first phase. The second phase of the Tomatis program attempts to recreate the sounds one would hear after birth. These sounds include listening to songs, repetition of words, and stories. As in the first phase, these sounds are filtered with an emphasis on high frequencies. The third phase, in which the person reads out loud, is intended to integrate written language. The sounds heard throughout the Berard approach may appear similar to those used during the initial phase of the Tomatis approach. However, Dr. Gerard Binet (1991), the only person with extensive experience with both the Tomatis approach and the Berard approach (other than Berard) who is aware of the electronic configuration of both machines, has firmly stated to the present authors that there is no similarity between the two machines with regard to their audio output. The sound level during auditory training is intended to be "loud but not painful." Berard states that in the great majority of cases, the person should receive one 10-hour series of auditory training, over a 10- to 20-day period. It is undesirable to receive more than 10 hours of auditory training in a three-month period. Occasionally, a second 10-hour series is given 6 or more months later. The recommended level used in the Tomatis program ranges from 60 to 80 db (80 db would be considered loud). In general, listening hours range from 45 to 100 hours over a four-month period. However, if the person has autism, it is recommended that the person receive 150 to 200 hours of listening over a 6 to 12 month period (Gilmor & Madaule, 1989). Some Tomatis Listening Centres have begun to give an abbreviated version of the Tomatis method to autistic individuals. This involves listening to the Electronic Ear for 2 1/2 to 3 hours a day for 10 to 12 days, for about 30 hours. This shortened program is possibly a response to the relatively short 10-hour training period used in the Berard program. This abbreviated version is so much shorter than the 150- to 200-hour program for autism described by Gilmor and Madaule (1989) that it is difficult to believe it can be considered comparable. Neither the Berard nor Tomatis approach is harmful. Both consist of music and voices played through earphones at levels much quieter than many environmental sounds commonly heard. Yet some individuals report rather mild--not severe--side effects during and after the training sessions, including irritability, mood swings, hyperactivity and fatigue. No hard empirical data are available, but our impression thus far, from talking with many parents, is that the Berard approach is less troublesome in this regard. We have some concerns about the Tomatis approach which we would like to share. These concerns are heightened by the rather aggressive efforts by a number of Tomatis practitioners to recruit autistic children as clients. Irrelevance of Tomatis Training. The recovery of Georgie and the improvement of a number of other autistic persons appears to be a consequence of Berard's intentional reduction of the auditory sensitivity of these individuals. So far as we have been able to determine, nowhere in the writing of Tomatis does he address the central problem of reducing hypersensitive hearing. It thus seems as though proprietors of Tomatis Listening Centres are opportunistically marketing services that are irrelevant to the issue. The claim made by some Tomatis practitioners of an 80% to 85% improvement in autistic patients has no empirical foundation. Psychological emphasis of the Tomatis training. We are disturbed by the fact that Tomatis Centres are billed as "Listening Centres'.' and place heavy stress on psychological-emotional factors. Autism is a brain disorder which has no demonstrated relationship to the mother's voice as heard by the fetus before birth. That is pure, unfounded, unlikely speculation. This aspect of the Tomatis approach is repugnant. Blaming the mothers for causing harm to the child, albeit unintentional harm, is a concept which is dead and should be buried. We believe that Tomatis should state his current position on this point precisely, if he no longer blames the mother. In any case, it is a poor premise on which to base therapy. Duration and cost of Tomatis training. As noted above, Tomatis experts have long claimed that autism requires 150-200 hours of auditory training over a 6- to 12- month period. This is obviously very expensive, intrusive and time-consuming. Now that the Berard approach is known to accomplish auditory training in 10 hours, over a 10- day period, a number of Tomatis practitioners claim to be able to do the Tomatis method for autistic children in 10 to 12 days, at 2 1/2 to 3 hours per day. One must be suspicious of this sudden discovery. The present writers feel that the Tomatis organization is obliged to sponsor quality research, by independent research specialists, to evaluate the effectiveness of the "Audio- Psycho-Phonological" approach. Families are entitled to empirical data, not more theories and statements based on faith. Berard, G. (I 982). Audition dgale comportment. Sainte-Ruffine: Maisonneuve. Binet, G. (1991). Personal communication. du Plessis, W.F., & van Jaarsveld, P.E. (1988). 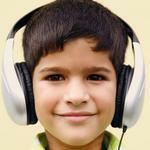 Audio-psychophonology: A comparative outcome study on anxious primary school pupils. Suid-Afrikaanse Sielkundige, 18, 144-151. Gilmor, T.M., & Madaule, P. (1989). Opening communication: A perspective on autism, (pp. 95-104). In T.M. Gilmor, P. Madaule, & B. Thompson (Eds. ), About the Tomatis method. Ontario, Canada: The Listening Centre Press. Kershner, J.R., Cummings, R.L., Clarke, K.A., Hadfield, A.J., & Kershner, B.A. (1990). Two-year evaluation of the Tomatis listening training program with learning disabled children. Learning Disability Quarterly, 3, 43-53. Stehli, A. (1991). The sound of a miracle. New York: Doubleday. Tomatis, A.A. (1972). La liberation d'Oedipe. Paris: Les Editions ESF. Tomatis, A.A. (1978). Education and dyslexia. Fribourg: Association Internationale d'Audio-Psycho-Phonologie.